+ Fixed and cleaned new retarder sound output – now you can properly hear the transmission whine and the internal system. 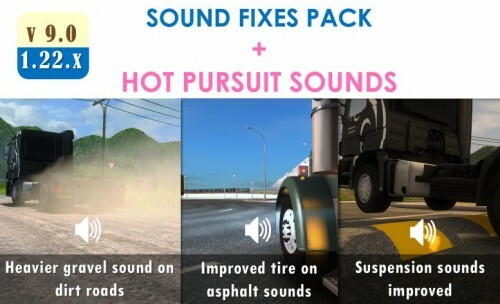 + Deepened some tire sounds on asphalt. Some stock sounds were blended with the modded sounds to achieve a richer sound. + Replaced standard truck horns used by AI traffic trucks. Some AI traffic trucks will use a short loud honk when you are in their way, others may do a long honk.